Christian funerary Mosaic depicting the fountain of life which was a early Christian ssymbol of Christian faith. 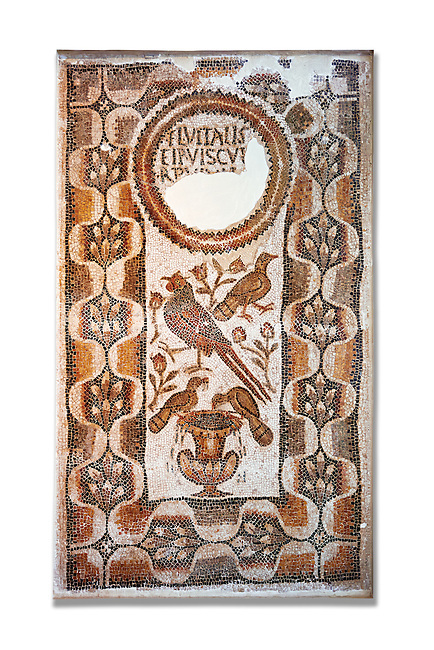 This early Christian mosaic is from Basilica of Furnos Minus, 5th century AD. Roman mosaics from the north African Roman province of Africanus . Bardo Museum, Tunis, Tunisia.